Since Jose Mourinho took charge at Manchester United back in May 2016, one criticism that he has quickly managed to play down is through his policy of playing his club’s youngsters. Many pundits and fans alike predicted this to be a bit of a mismatch when the Portuguese took the reigns from Louis van Gaal, claiming that Mourinho would not live up to United’s most famous and acclaimed tradition. However, as mentioned, Mourinho has proved all doubters wrong through his treatment of United’s youth players, through both offering first team minutes and also the systematic approach of a few loan deals. 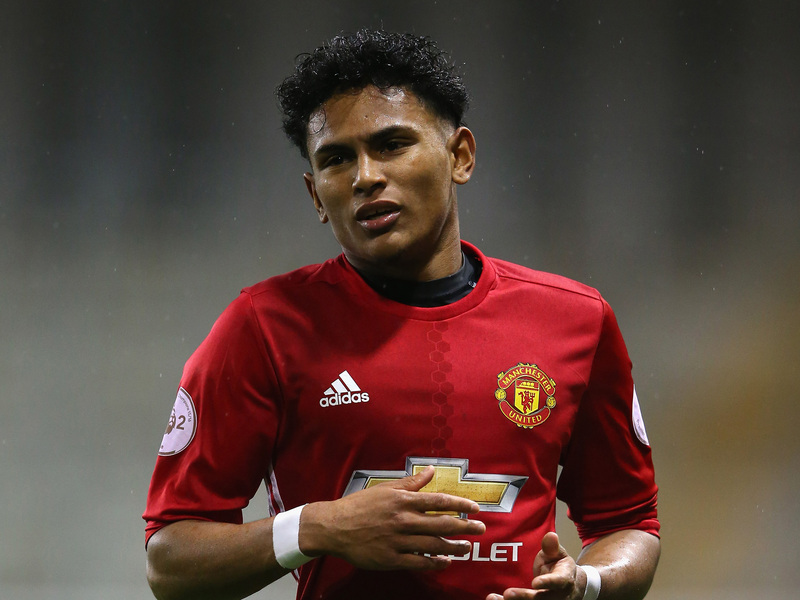 Whilst many United fans have been keenly watching out for Timothy Fosu-Mensah’s performances at Crystal Palace, they will now have the opportunity to see another of their top prospects gain some first team minutes in Demetri Mitchell, who has joined Scottish side Hearts until the end of the season. The 21-year-old, who made his Red Devils debut on the final Premier League game of last season, is already making strides with his new club, having featured for a full 90 minutes in his first four games. Despite joining a side that was unbeaten in ten, having not conceded a goal in 651 minutes, Mitchell was trusted with a debut start against Hamilton Academical, a fixture where he undoubtedly warranted his manager’s selection. In what turned out to be a comfortable 3-0 victory for Hearts, Mitchell claimed a debut man-of-the-match award, offering a solid display down the left-flank through both his offensive and defensive duties. The following two games did however see Hearts lose their impressive clean sheet record (13 hours and 50 minutes without conceding), following a rather sickening 96th minute equaliser during a 1-1 draw against Motherwell. The game saw Mitchell deployed predominantly as a wing-back and similar to his performance for United against Crystal Palace last season, the Englishman impressed with his bursting runs forward, nearly claiming his first senior goal with a curling effort from just outside the box. Mitchell however could not do too much to prevent runaway league leaders Celtic, who eased to a 3-1 victory and thus brought to an end a run of 12 games unbeaten for Hearts. Mitchell and his side did however get back on track last weekend, claiming a 1-0 victory over St Johnstone, as they continue to fight for a challenging top four finish. The Englishman clearly looks to be taking to life in Scotland with ease, as he provided the assist for goalscorer Manuel Milinković just 40 seconds into the game. The left-back is clearly making all the right strides whilst on loan at Hearts and is undoubtedly displaying both the right mentality and performances, Mourinho will have wanted from another of his young United prospects. Following Luke Shaw’s resurgence in the first team, the decision for him to go out on loan and gain first team minutes is now certainly looking like a wise choice. If the Englishman can keep up his impressive performances, there is certainly no reason as to why he cannot challenge Shaw for a starting position in the senior lineup next season.